The R&A, the organiser of The Open Championship, and ESPN have reached an eight-year agreement that will place all four rounds of The Open Championship live on ESPN beginning in 2010, it was announced by George Bodenheimer, President, ESPN, Inc., and ABC Sports and Peter Dawson, Chief Executive of The R&A. The new pact will also provide broad and comprehensive rights for digital platforms; expanded television and digital media rights for ESPN International; and extensive same-day weekend highlights coverage on ABC. ESPN will televise 34 live hours of Championship play over the four days and produce six hours of encore highlights coverage over the weekend, to be broadcast on ABC. The coverage on ABC will extend The R&A’s relationship with ABC beyond half a century. Dawson said: "It is all important to The R&A that we preserve the traditions of The Open Championship while at the same time ensuring that golf fans are able to enjoy modern state-of-the-art coverage of the event. We know just how much ESPN respects The Open's heritage and we are very excited by their many innovative plans to cover the Championship across the whole media spectrum, both in the United States and internationally. We look forward to a long and productive relationship." Alastair Johnston, IMG Vice Chairman, who led the negotiating team representing The R&A said, "We had to consider not only the financial terms but The R&A's overall mission to promote and develop the game of golf to an evolving global audience. Envisaging the platforms where a younger generation could be positively influenced to experience The Open Championship over the next decade was a significant factor in assembling this arrangement with ESPN." The deal also includes exclusive US coverage of all rounds of The Senior Open Championship, which is governed jointly by The R&A and the PGA European Tour, and coverage of the next two Walker Cup matches when contested in the United Kingdom (2011 and 2015). In all, there will be 90-plus television hours and 40-plus hours of live coverage on ESPN360.com and ESPN Mobile TV. ESPN will provide unprecedented live coverage of the Championships, including the first and second rounds of The Open Championship, which will begin at 5 a.m. ET. The wide-ranging agreement will cover multiple businesses around the world through ESPN’s various platforms – ESPN, ABC, ESPN2, ESPN Deportes, ESPN International, ESPN.com, ESPN360.com, ESPNDeportes.com and ESPN Mobile Properties, interactive television, ESPN in Latin America/Caribbean, TSN and RDS in Canada, ESPN Star Sports in Asia, and ESPN360 services in Mexico, Chile and Brazil. ESPN extended and broadened its rights in Canada (TSN and RDS), Asia, Israel and Latin America territories as well as English language rights in China (ESPN Sports Star Sports). The deal also includes digital rights in all territories (excluding China) including live streaming of all events, expansive multiplatform highlight rights (e.g. online, broadband, and wireless); television and digital VOD; interactive television and mobile TV. When the R&A announced that the 1951 Open Championship was going to Royal Portrush, The Irish Times carried a two paragraph brief on its sports pages on 24 November 1949. Tiger text.Five years after a fan smuggled a cell phone into the Open in a sandwich, the R&A has decided to allow spectators to bring mobile devices to Royal Lytham and St Annes this summer. 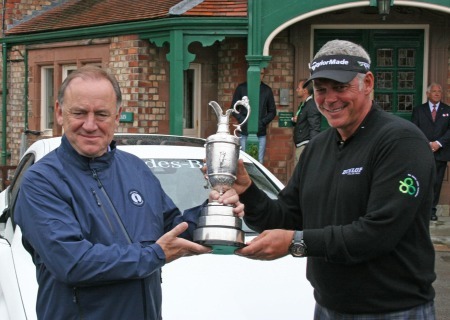 Darren Clarke hands back the Claret Jug to Peter Dawson. 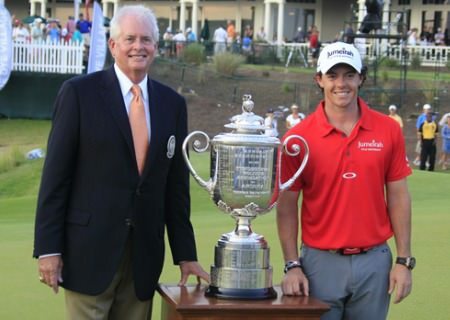 Getting his hands on it at Royal Portrush look highly unlikely. R&A chief Peter Dawson yesterday slammed the brakes on a return to The Open rota for Royal Portrush with a blunt: I think the answer is NO. 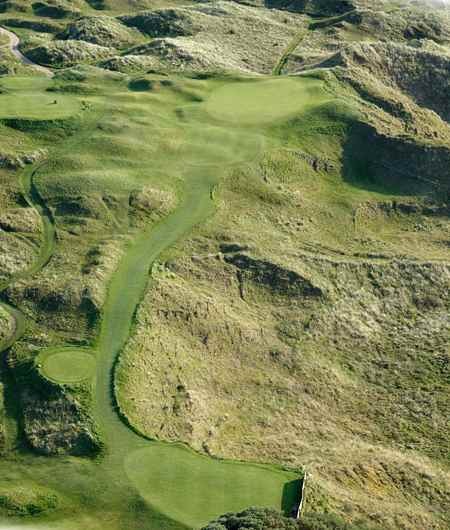 Ted Bishop threw more fuel on the fire of his controversy with R&A Chief Executive Peter Dawson when he described Royal Portrush as “open game” if the US PGA Championship ever goes international.